I've been collecting T-shirts I like for awhile now, with the idea of making pillow covers out of them. 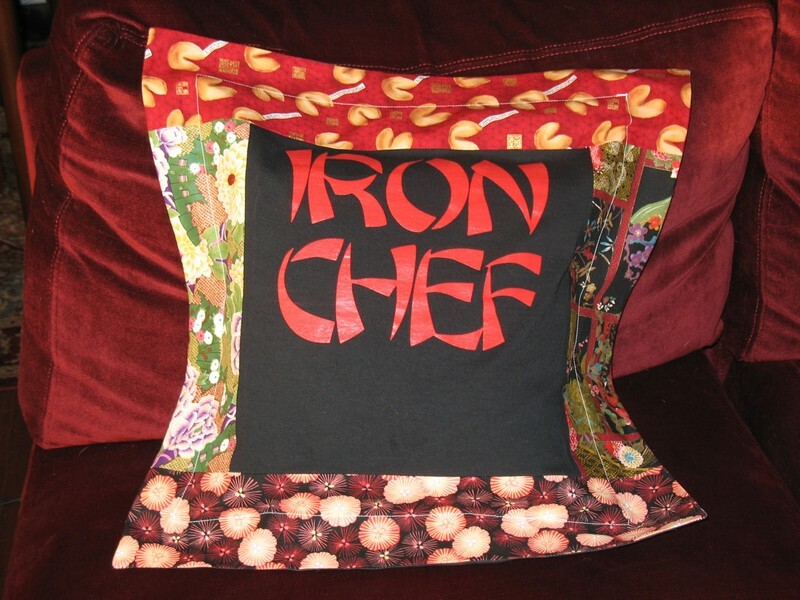 I came across a few Iron Chef T-shirts at Goodwill a few trips ago, washed them up and decided to use some Asian fabric scraps with a black muslin backing for my first T-shirt pillow foray. <pause for air> Now that I have the basic envelope enclosure pillow creation method down I'm excited about making some more! I have some cool seventies and eighties T's I want to "pillowcize."